There are debt triggers that you should be aware of and it is important that you are able to negate them. Debt could start with specific assumption and mindset. The first trigger is when you think that you deserve it, because you have worked so hard. You may already take care of the kids, while working hard in the workplace. You may think that a little splurge here and there will never break the bank. However, if you have the same type of mindset for a long period of time, then you start to purchase an extravagant item. There’s nothing wrong about rewarding yourself, but it is important to make sure that this won’t be an expensive activity. Allocating 3-4 hours for your private time doing anything that you like, such as reading book and watching movie should be enough to make you satisfied. Debt can also be triggered by loneliness, sadness and depression. You may think that you will feel better after buying a new gadget or shoes, but if you are already unhappy with your work and relationship, then sadness will return almost immediately. Whatever you do, you should make sure that you can justify your overall spending. Excessive spending can be similar to gambling and binge eating. It will not address any of the underlying problem. Compulsive spending is a mental disease that you need to cure immediately. Excessive spending could result in additional addictions. You should make sure that your compulsive spending won’t result in extra problems. You may also accumulate debt when you have fear of missing out. It is quite common for some people to have an urge to match with the current trends and they don’t want to miss a good deal. You should know that bargains can induce excessive spending trigger. You may think that you are saving money, but if you buy too many “cheap items”, you will end up spending too much. Bargains are only useful if you purchase the same amount, in terms of the monetary value or the item quantity. Recreations could also cause you to spend too much money. Going to a distant country to visit beaches and other interesting places can be wonderful, but this is also an expensive activity. If possible, you should choose more affordable activities. Hiking and biking should be affordable outdoor hobbies that you can choose. 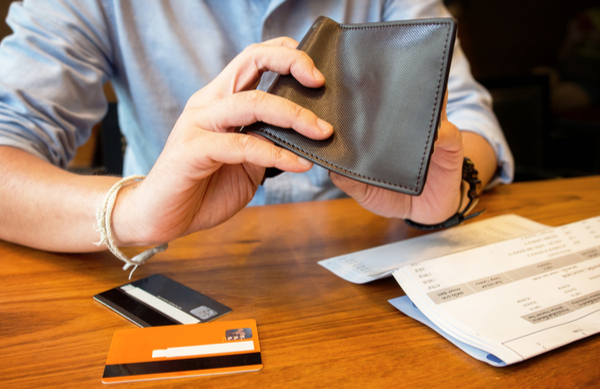 You may accumulate debt when you use credit card to enjoy things beyond your means. You may consistently assure yourself that you will pay it off later. However, your ability to repay the debt is restricted by monthly budget and your situation is worse if you don’t even have a monthly budget. Young workers who have just obtained their first ever salary could be so happy that they spend indiscriminately, using their credit cards. Without enough control, they will eventually have a huge balance on their credit card account that they struggle to repay due to high interest rate.